An opportunity presented itself in 2013 to acquire by way of private purchase half a dozen items of local colliery railway interest. Not since the 1960s and early 1970s, when in that period a good relationship existed between the Railway Preservation Society and local National Coal Board management and which resulted in several donations of interest has the chance to obtain in bulk such star items for the museum collection. First and arguably the finest piece from the Chasewater Railway point of view is the nameplate McClean from the 1856 built Beyer Peacock, the first of five similar locomotives delivered between 1856 and 1872. 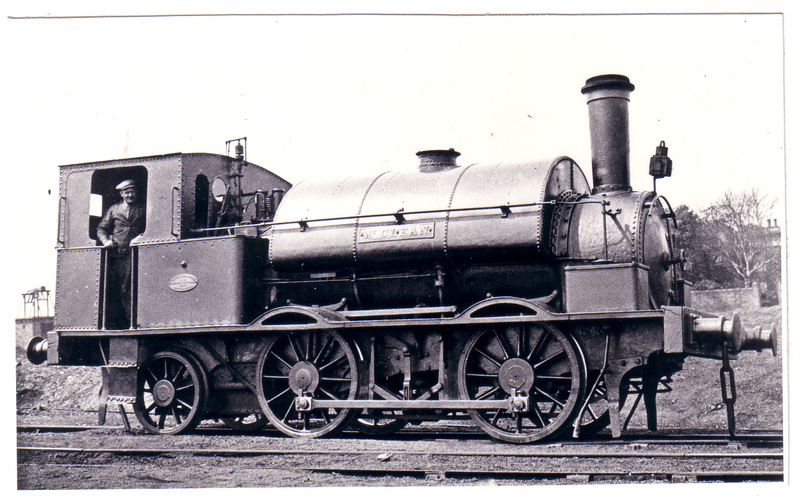 McClean lasted one hundred years before scrapping and in her later years was considered to be the oldest loco in the country still at work. The name McClean was bestowed in honour of John Robinson McClean who first came on the local scene as engineer in the construction of the South Staffordshire Railway before later, together with Richard Chawner leased land to mine coal forming the Cannock Chase Colliery. This entry was posted in Museum Exhibits and tagged Beyer Peacock 0-4-0ST, Bloxwich, Brownhills, Burntwood, Cannock, Cannock Wood, Chasewater Railway Museum, Cheslyn Hay, Great Wyrley, Hazel Slade, Heath Hayes, Lichfield, McClean, Museum Collection, No.28 of 1856, Norton Canes, Pelsall, Staffordshire, Steam Locomotives, Walsall, Walsall Wood, Wolverhampton. Bookmark the permalink. Not exactly a ‘gift’ Mick.